Recommended for children 18 months and up; up to 44 lbs. 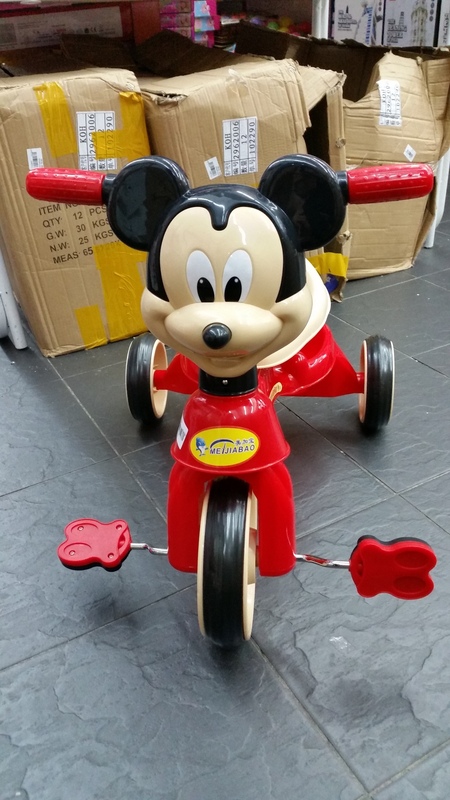 Lots of fun for all stages of riding fun, the Tricycle offers different modes of use to suit various abilities. 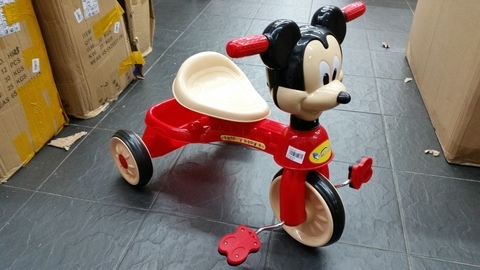 To start, this tricycle and you don&apos;t have to break your back to do it like your parents probably did. In the parent-assist mode, the tricycle features removable baby surround arms to keep your baby upright and securely in place, plus there are flip-down footrests for their feet. Once they&apos;ve got the pedaling down, simply reverse all of these features and off they go.